You Can Count On Us! - Website of accyserve! Accountants and taxation advisers for small business, start-ups & individuals based in the suburbs of South Birmingham covering Kings Heath, Hall Green, Moseley and surrounding areas. 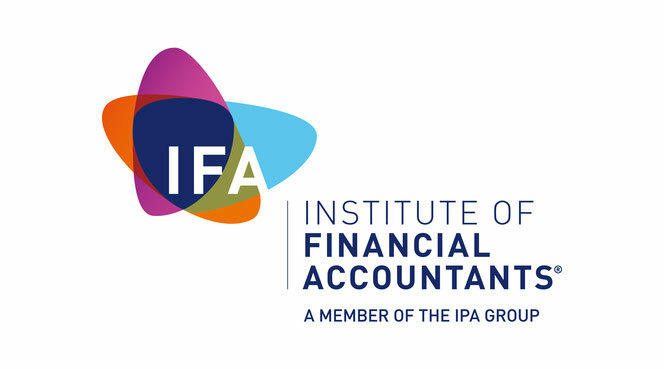 We provide for all your necessary accountancy and taxation requirements including accounts preparation, management accounts, personal and company tax returns, VAT, payroll including CIS, cash flow forecasts, reviewing and implementing accounting and management systems. We provide a friendly and reliable service to meet all your compliance requirements on a cost effective basis. 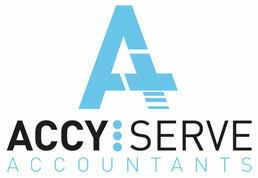 We also act proactively to assist your business and provide a range of personal and business tax planning opportunities. Making Tax Digital (MTD) is HMRC’s attempt to fully computerise UK tax payers’ affairs. In effect, all the information required to work out an individual’s or a company’s tax liability will be “pushed” electronically to their personal tax account (PTA) with HMRC. HMRC have back-tracked from their original time table which was due to commence 6 April 2018. The intention now is for all unincorporated businesses with turnover above the present VAT registration limit, £85,000, will need to file their VAT returns using a suitable online link from April 2019. When MTD is fully implemented, certainly not before April 2020, it will no longer be necessary to submit an annual self-assessment tax return. MTD will apply to most unincorporated businesses (including property landlords). From a compliance point of view, affected businesses will need to upload summarised accounting data on a quarterly basis, and will have an opportunity to revise this data annually, confirming that all is present and correct. This is a major downside feature of MTD: instead of one annual declaration to HMRC this will be replaced by four quarterly uploads and one annual adjustment. MTD will also require this information to be uploaded electronically. You won’t be able to fill in a form and send it in the post. Clearly, MTD is going to be a major upheaval, for HMRC, business owners and taxpayers, and professional advisors. In fact, it will be the most significant change in the UK tax system since the introduction of self-assessment many year ago. HMRC have indicated that affected taxpayers will be able to upload data via spreadsheets as well as from proprietary accounting software. They have also indicated that there may be free software that can be used by smaller-scale businesses. Whether HMRC can deliver a sound platform to support MTD is largely an unknown, based on previous attempts to computerise their systems confidence is not high. What is required is that VAT registered businesses consider their options to comply with MTD in advance of the April 2019 commencement deadline. HMRC says it has reduced the tax gap but claims that the bulk of unpaid tax is owed by small business. The tax gap is the difference between the tax that should be paid to HMRC and the actual tax that has been paid. HMRC's latest figures show that the tax gap has reduced from 7.3% in 2005/06 to an estimated 5.7% in 2016/17 - worth £71 billion in tax revenues. According to HMRC, small firms are responsible for 41% of the current tax gap, followed by large businesses at 21% and mid-sized firms at 12%. Criminals are responsible for 16% of the gap. HMRC is working with small businesses to help them get their tax right first time around and that it aims to make sure the tax system assists businesses in setting up, operating and growing. Digital record keeping and an automated tax system - with the introduction of making Tax Digital - will help businesses get their tax affairs in order, says HMRC. How much should I put by to cover tax bills? Whether you are self-employed or have your own company your periodic business tax payments will always be based on the yearly trading profits and other chargeable gains made, plus any capital profits. If you run your business through a company, corporation tax payable on adjusted business profits (after allowances for capital purchases) is payable 9 months and one day after your year-end date. Accordingly, corporation tax due for the accounting year to 31 March 2018, will be due for payment 1 January 2019. As a quick fix, you could transfer between 15% and 20% of your monthly profits to a deposit account to partly cover this liability. If you are self-employed, your business profits will form part of your self-assessment tax return. The amount of tax you will pay is split into two instalments on account, and a balancing adjustment if necessary (payable 31 January and 31 July). In order to reserve cash for your self-assessment tax payments, the math is more complex. Your best option is to deduct a £1,000 per month (being your approximate income tax personal allowance) for each business partner, from the trading profits you make and apply 30% to what’s left. Transfer this amount to a deposit account. However, this will only provide the funds to pay tax on your business profits. If you have other taxable income this will have to be factored in.